WHY DID WE IMPORT A TRAILER FROM USA INTO CANADA? THERE ARE LOTS OF FABRICATORS HERE..
Why would we want to go through all the hassle of Importing a Tiny House Trailer into Canada when..yes, there are a lot of metal and trailer fabricators on the west coast of Canada. The main problem we ran into is that there was not a lot of reasonably priced fabricators.. 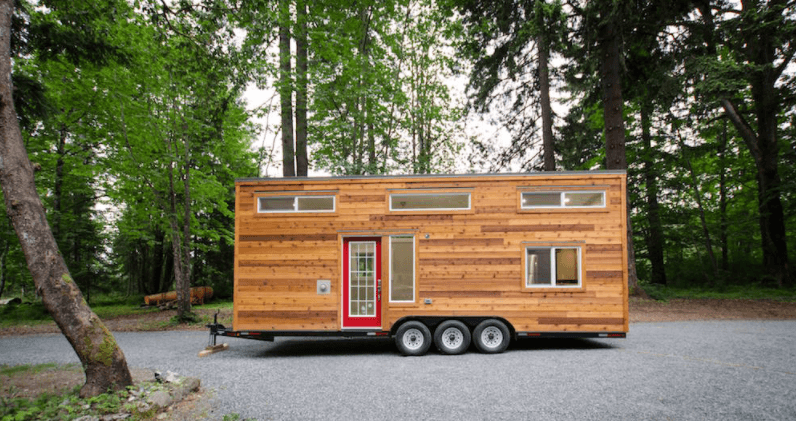 I spent about two month calling many BC and Alberta based fabricators to put together a list of quotes with prices ranging from $14,000 – $27,000 for a 28′ tiny house trailer..which I though to be outrageous. I knew from talking to other tiny house builders in the USA that the price of our trailer should be about $10,000 Canadian all said and done. We ended up finding a trailer manufacturer specifically building tiny home trailers who had a lot of experience importing tiny home trailers into Canada. 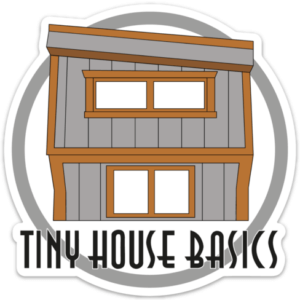 Joshua with Tiny House Basics is who you’ll want to contact. He walked us through the entire process and aside from getting a beautiful, custom trailer through him, the importing was painless with no issues. So where do you start when importing a tiny home trailer into Canada? For all of you who are worried that you might not make it through the border, don’t worry! As long as your paperwork is in order and you pay the taxes it only takes about 30 minutes to get across the border. But please make sure your trailer follows all the Canadian laws or it may not be allowed into the country. If your coming from British Columbia like us, you know ICBC. Simply purchase the minimal 10 day trailer insurance for about $80.00 before you leave and you’ll be covered across the border and in Canada. When importing a trailer from USA to Canada for PERSONAL use there is no duty or fees, only 5% Tax. You’ll be required to pay 5% of the sales price before leaving the border. And that’s it! You can now start building your house on your trailer and have all the correct papers to insure it as a trailer while on the roads in Canada. TOTAL FEES and TAXES at the boarder. Hope this helps some of you out! Let us know your experience of importing your trailer in the comments below! If you are like me, you may have found this page because you are considering importing a trailer into Canada from the US, but aren t sure how complicated the process is. At first glance this may seem like a lot to take in, but don t be daunted it is actually pretty easy. As long as you have your ducks in a row, you will have a smooth importation process. What about purchasing one in Canada and bringing it back to the US? Are the fees and taxes similar? The RIV fee has gone up from $195CDN plus tax to $310 plus tax. Canadian Tire told me they charge a $5 levy fee per tire and that’s their only charge. RIV says they can expedite if you have all your ducks in a row and possibly process the paperwork so that you could get it inspected same day or next day, otherwise it’s 2-3 business days wait. Hello Dan, Thank you for the info. We are set up with the Border and we provide all the correct paperwork for our customers so its a easy process to import our tiny house trailers into canada. 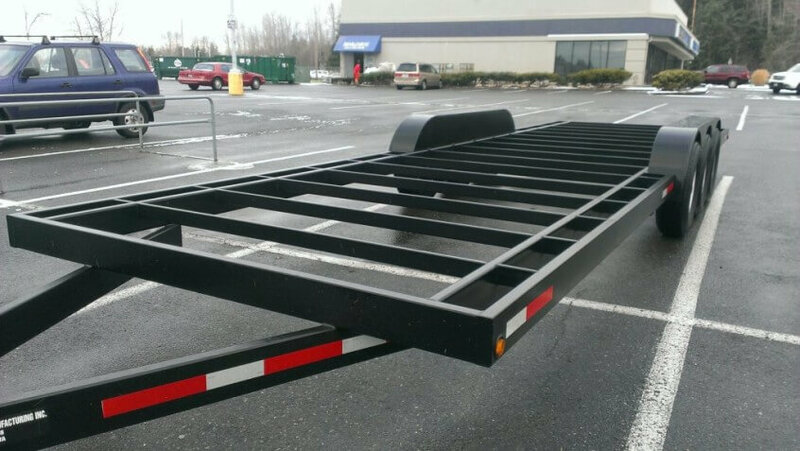 We ship trailers weekly.